Mr. Don Pellmann (wearing the red shirt in picture), who had turned 100 in August 2015, set five world records a month later. He became the world’s fastest centenarian. 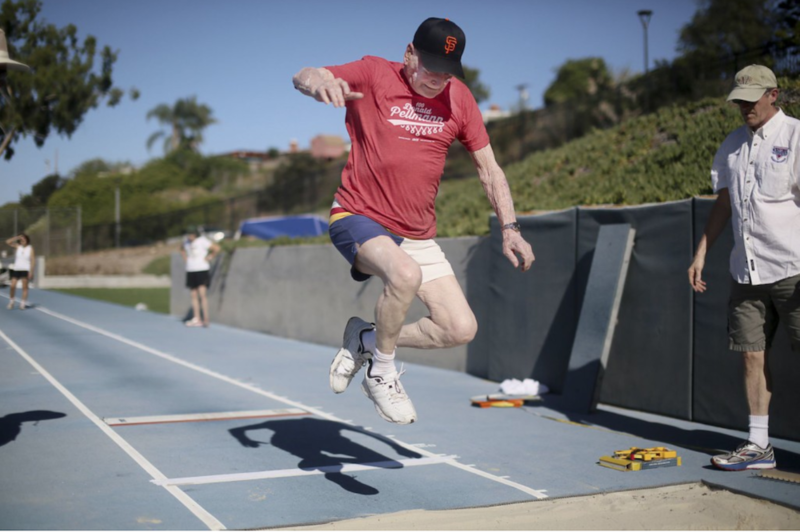 He ran the 100-meter dash in under 27 seconds at the San Diego masters Olympics, shaving three seconds off the previous record by the now 105-year old Hidekichi Miyazaki. It was a blistering hot day (37 Celsius) and Mr. Pellmann expressed disappointment with his performance of the day: he had apparently “botched” the pole vault event, in spite of his five records. He was unsuccessful to clear the pole in the three tries allowed. “I thought I was in better shape,” he lamented. Going into the meet in September 2015, Mr. Pellmann already held seven age-group world track and field records. 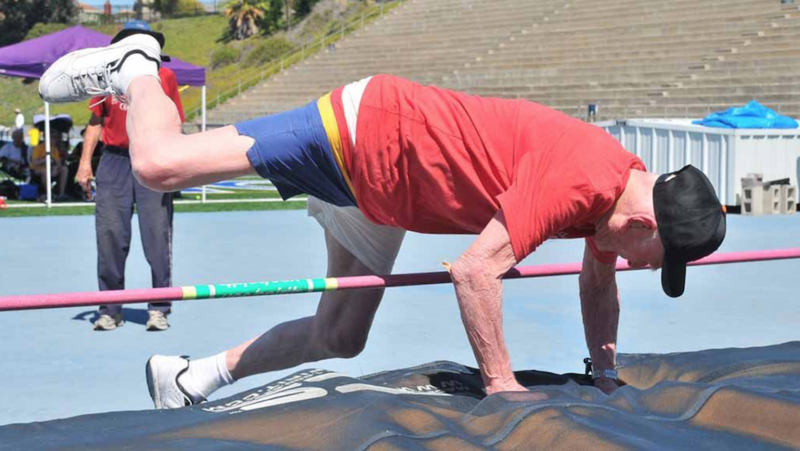 He became the first centenarian to record a height in the pole vault. He also did the long jump. And he did the high jump, the 100-metre dash, the discus, and the shot put. In his youth he was a gymnast and participated in all-round events. His track career was cut short by the Depression, but he loved physical activities, and almost single-handed built him and his wife a house. He was a dedicated down-hill skier and ski-jumper, and loved staying fit and active. In a previous retirement complex where they lived, he would often frequent he exercise and weight room. From 1935, for the next 35 years, he had no exposure to track and field at all. He bowled, played some tennis and some golf, but nothing serious. That is probably why his joints and bones held out, the fact that he had never sustained major injuries. He worked for many decades for General Motors in the machine shop. His department was involved in building parts for the Apollo space program: guidance and navigation systems. He found it quite fascinating and rewarding, being part of the NASA program. 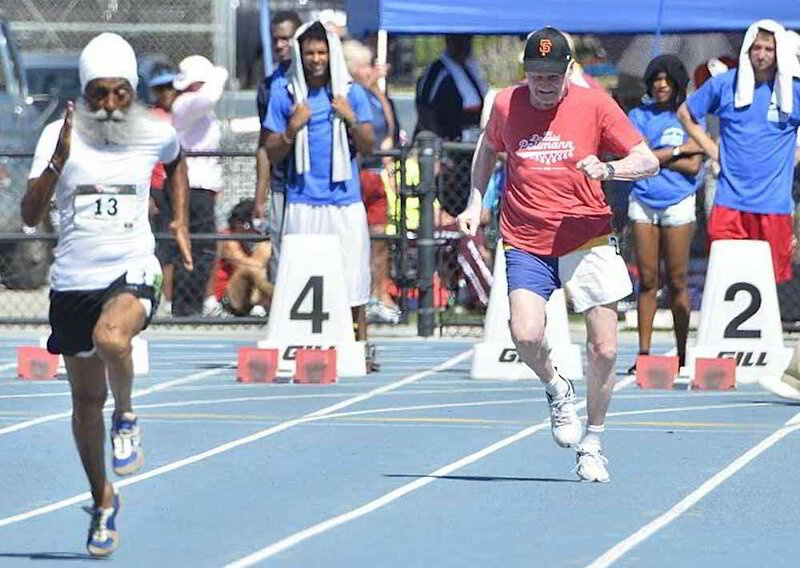 It was only in 1985 at age 70, that Mr. Pellmann became involved in senior track and field events. In his senior sporting-career he has accrued over 850 medals for events he participated in, most of which were first place wins. According to his son, Ned, he has only lost in about 10 of his age-related events. He sky-jumped at age 90. It’s the one thing he’d like to do again. Practicing pole vault and high jump is tricky, since most of the local schools won’t allow him, due to liability concerns. He taught himself how to high jump and pole vault, by paying attention to what others do. It’s never too late to go for gold. It’s never too late to get started. Don Pellmann started in earnest when he was 70. And now at age 100, he is still showing the world what is possible. Challenge yourself. Mr. Pellmann doesn’t only compete in one event; he runs, he jumps and he throws. Constant challenge is his dictum. A few years ago at one meet, he had 14 events in one morning. Never lose your drive to improve. Do better next time. Backing down is never an option. Hard work pays off. Nothing falls out of the sky in one’s lap. He stays fir year-round. 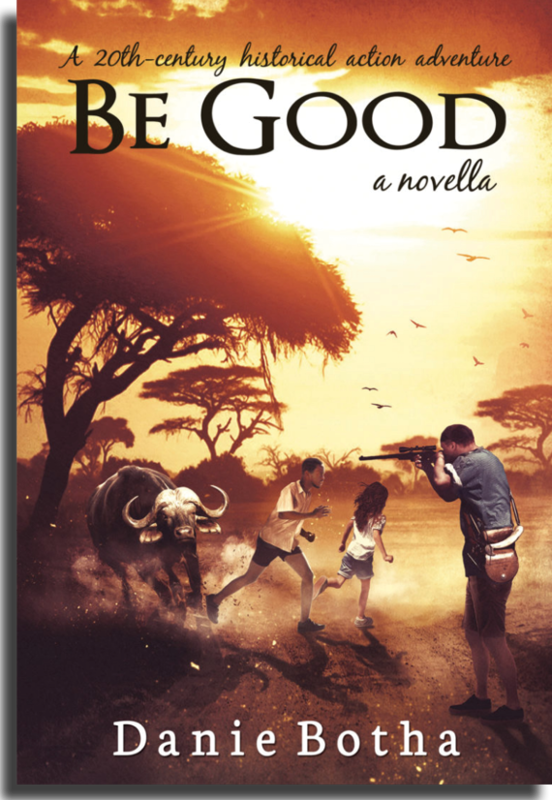 If you want to be good (win), you can’t slack too much. Don’t waste too much energy on being nervous. Don Pellmann says he’s usually more concerned about the weather—especially if it’s hot and he participates in several events. He doesn’t drink too much liquid during his events, less he has to run to the washroom and possibly miss out on one of his events! Don’t be afraid to be an example. Don’t be afraid to stand out. Not for the sake of being heralded as a celebrity, but because you are doing the right thing. Everyone has good days and bad days. Know yourself. Know your body. Pace yourself. 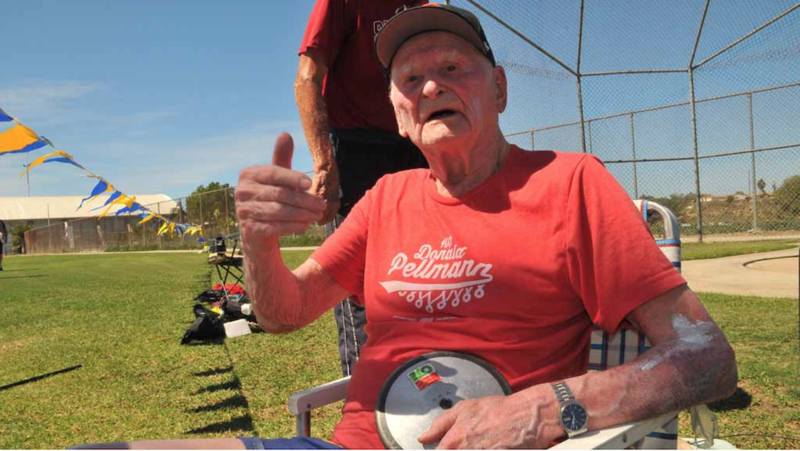 On a bad day Mr. Pellmann broke five records. On a good day he broke seven. 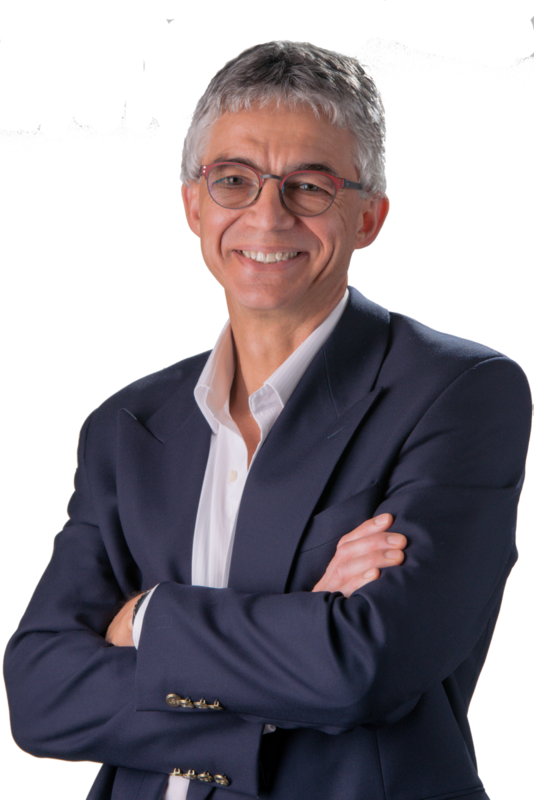 You don’t need to be famous, fancy or affluent to be effective or achieve success. The meal of choice the night before a competition for Mr. Pellmann: fried macaroni and cheese. Hundred year-old Mr. Don Pellmann showed us what is possible with tenacity, dedication and not taking yourself too serious. Remember, you don’t need to wait until you’re a century old before you do something remarkable. Go today. Go now. Somebody’s got to do it. Call to action. What is ONE thing worth imitating from Mr. Don Pellmann’s example?